As a florist, I’d love to have access to all the flowers all the time, but it’s their ephemeral nature that makes me appreciate what each season has to offer. 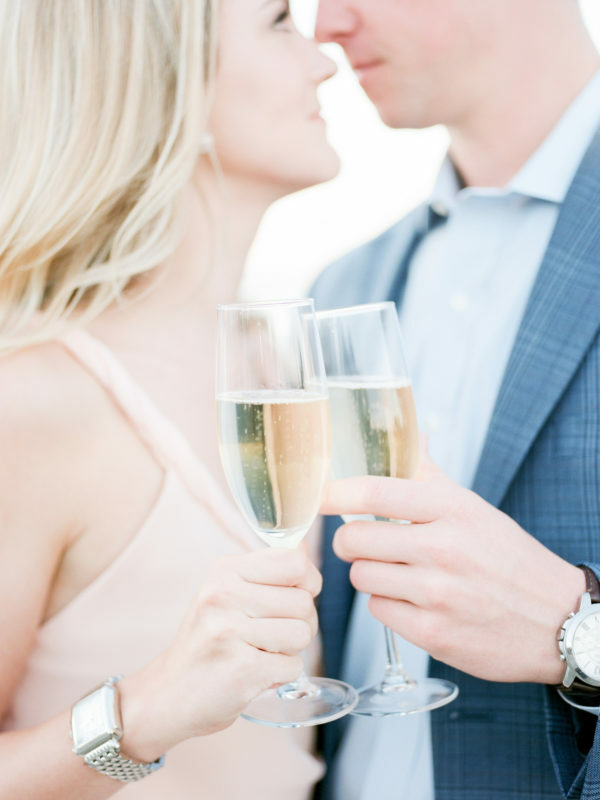 For my clients, working with the seasons when selecting their wedding flowers ensures they’ll receive the best quality flowers available for their Chicago wedding. 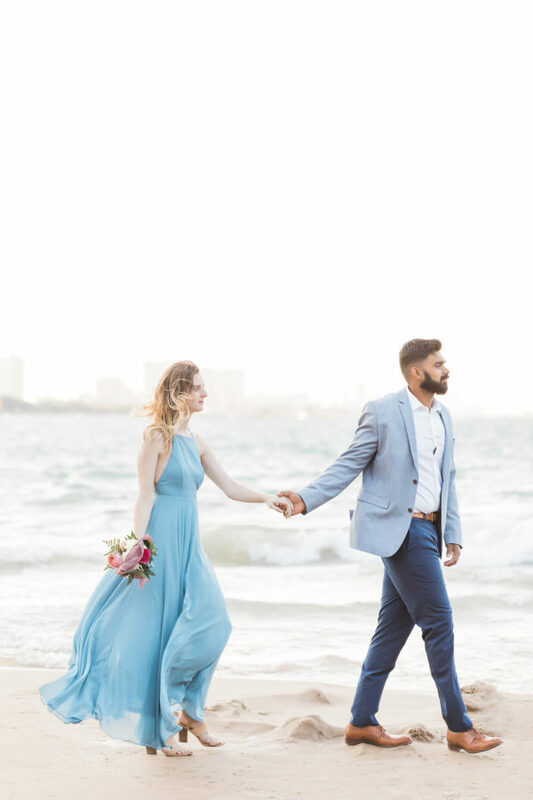 Each season has blooms that are especially plentiful and that also means they’re at their best pricing during that season for your Chicago wedding! 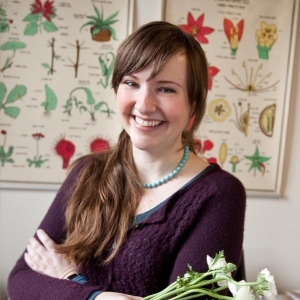 Here, I’ll share my favorite blooms for each season, with an emphasis on what’s available from local flower growers. Spring has lots of favorites for me, so I can’t pick just one! Two of my favorite spring flowers are ones that (not coincidentally) are some of the first flowers of the year that can be found from local flowers growers: ranunculus and anemone. Both ranunculus and anemone can be sourced from local growers in the Midwest in early spring, typically in April and May. They can be found at other times of year from non-local growers, but the locally grown ranunculus are truly amazing. 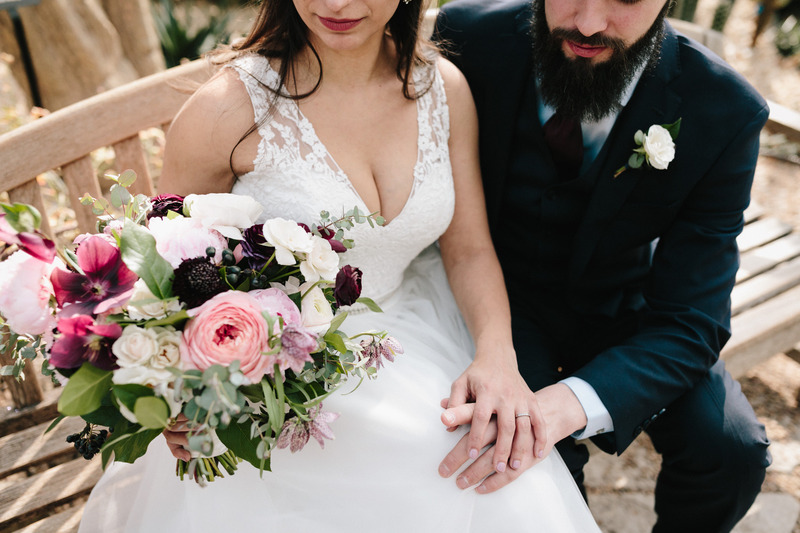 Ranunculus look like mini-peonies, packed with swirls of crepe papery petals – just look how lovely they are in our bouquet above, photographed by Tiffaney Childs Photography! Anemone, while similar in size, are flat blooms with a distinct center. 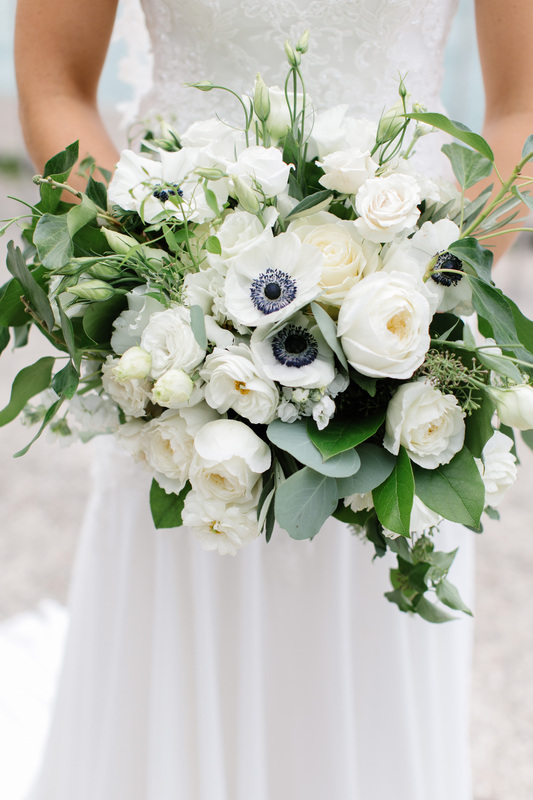 The most popular type of anemone for wedding work is the panda anemone. Panda anemone have a flat layer of white petals and an eye-catching dark blue or black center. Anemone are also available in red, fuchsia, purple, and (more uncommonly) wine. 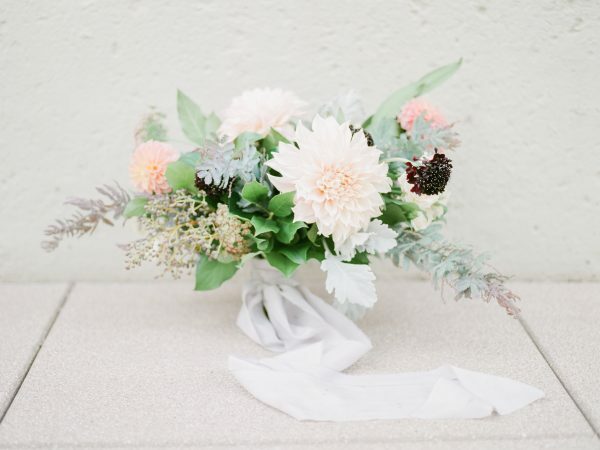 Bouquet by Pollen, photo by Sally O’Donnell Photography. 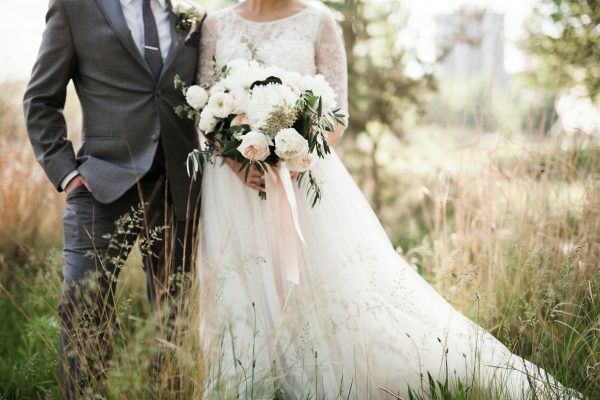 One of the most popular wedding flowers for spring are peonies. Big, fluffy, and rounded, peonies are in peak season in the Midwest from early May to late June, with locally grown peonies available during those months. Peonies can be found at higher prices a bit before and after peak peony season. They are also available from the southern hemisphere in winter, but at higher pricing than during spring. They come in white, various shades of pink, coral, red, burgundy, and occasionally yellow. Bouquet by Pollen, photo by Justine Bursoni. As spring moves into summer, the peak focal flowers shift from peonies to dahlias, which are typically available from local growers from July through October. 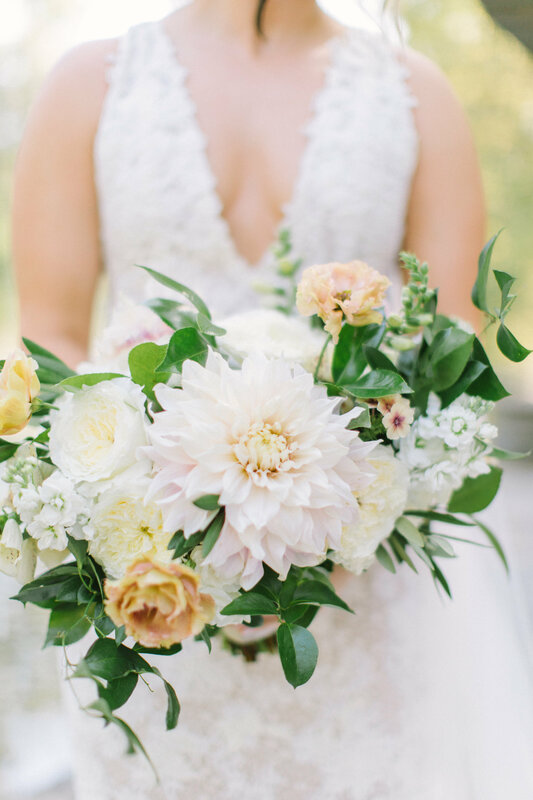 Cafe au lait dahlias have been in high demand for weddings for the past several years, and we love designing with this gorgeous bloom! Cafe au laits are a large-headed variety that range in color from cream to beige to peach to blush. Dahlias are best when purchased from local growers, because they don’t handle travel very well. Some local growers even deliver their dahlias in buckets of water to ensure freshness. Dahlias can be sourced throughout most of the year, so if your heart is set on them, don’t worry. 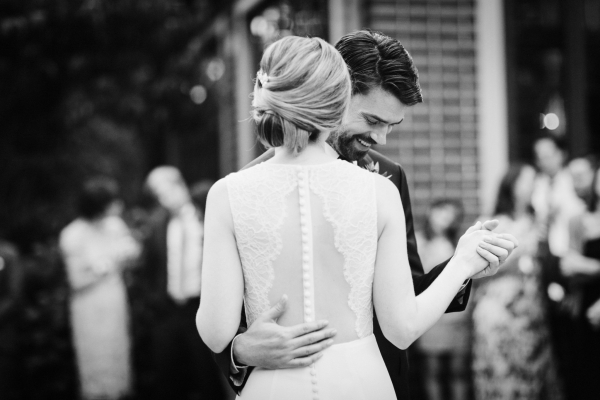 They’re probably around but you may have to pay a premium to include them in your wedding. 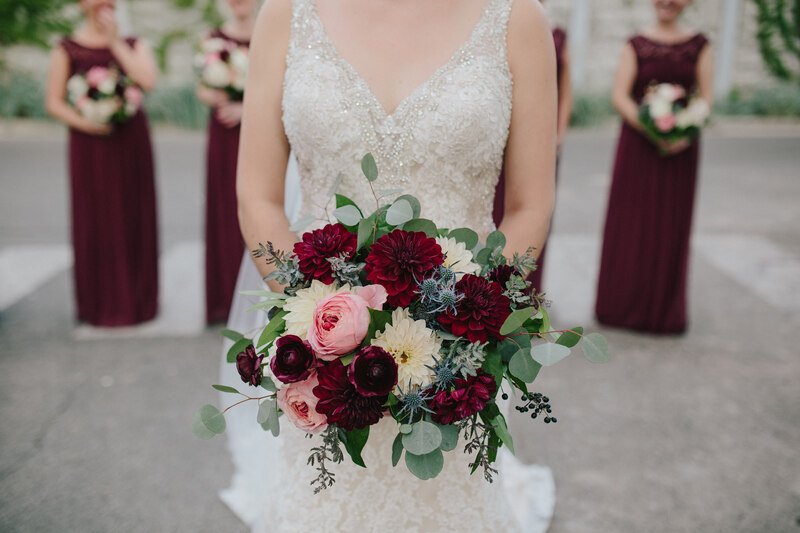 Here is one of our bouquets with fluffy dahlias, captured by Tim Tab Studios! 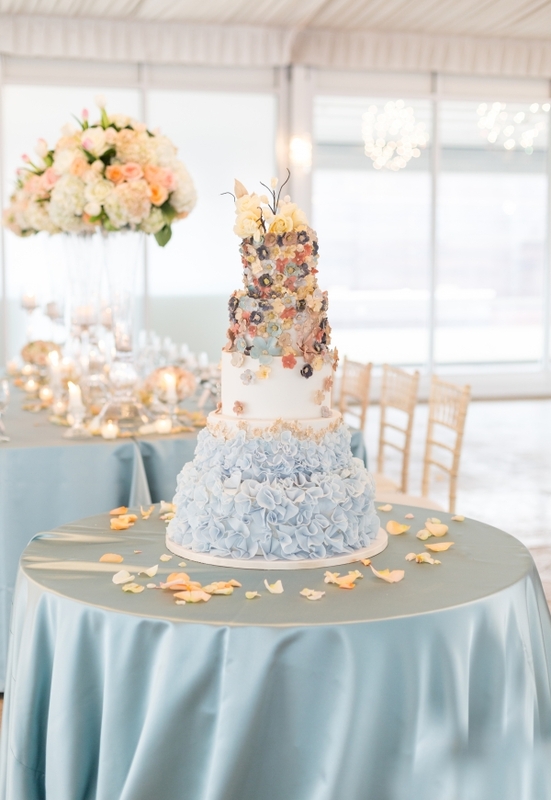 For fall weddings, I love including berries and fall foliage. 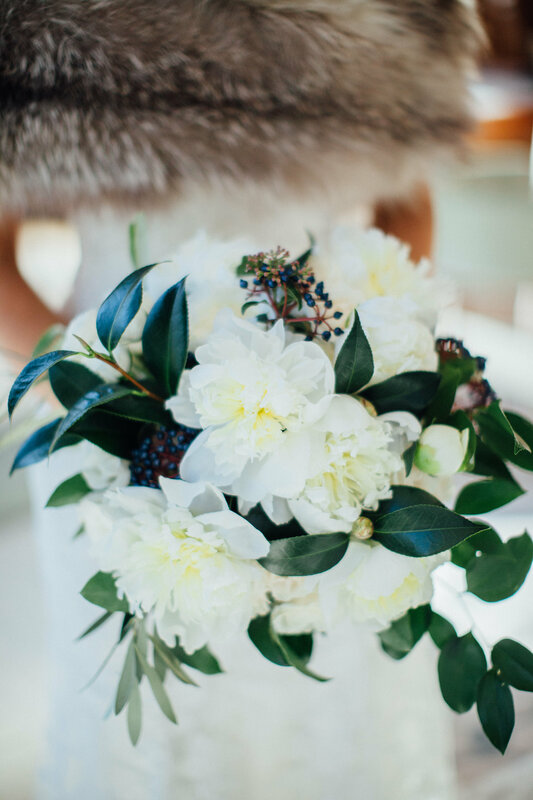 With the current popularity of navy as a wedding color, berries such as viburnum and privet berries can bring navy into the flower palette. Just a touch of berries in a boutonniere or bouquet, as seen in this bouquet we designed photographed , adds seasonal and textural interest. Seasonal foliage in burgundy, such as smokebush, adds a subtle autumnal feel to wedding flowers. 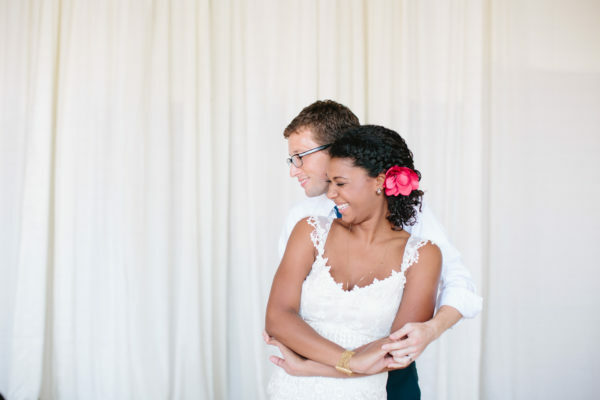 Midwestern winters don’t offer much in the way of locally grown flowers, so here in Chicago we rely on warmer climates to source flowers for winter weddings. 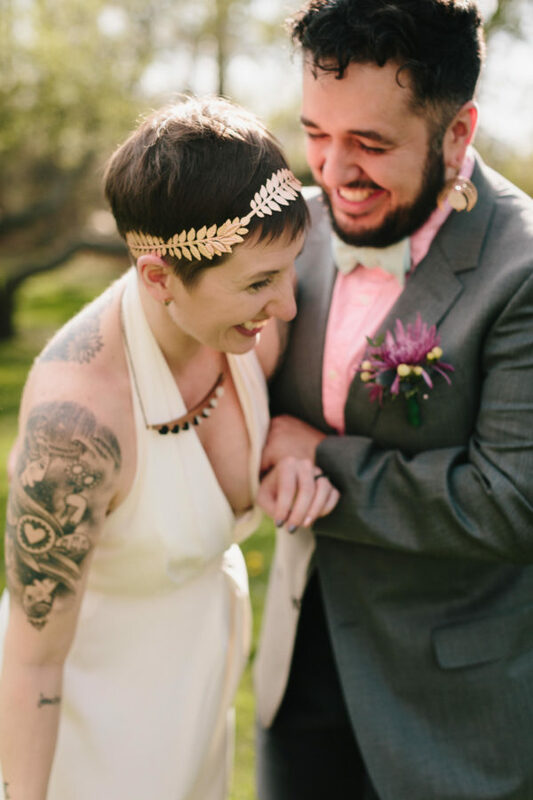 My favorite winter wedding flower is the hellebore. A bit more obscure than the rest of my favorites, hellebores are a winter bloom that has been under the radar in the US for quite some time, though they are long-time favorite in Europe. Some call them Christmas roses or lenten roses, however they are in the buttercup family. 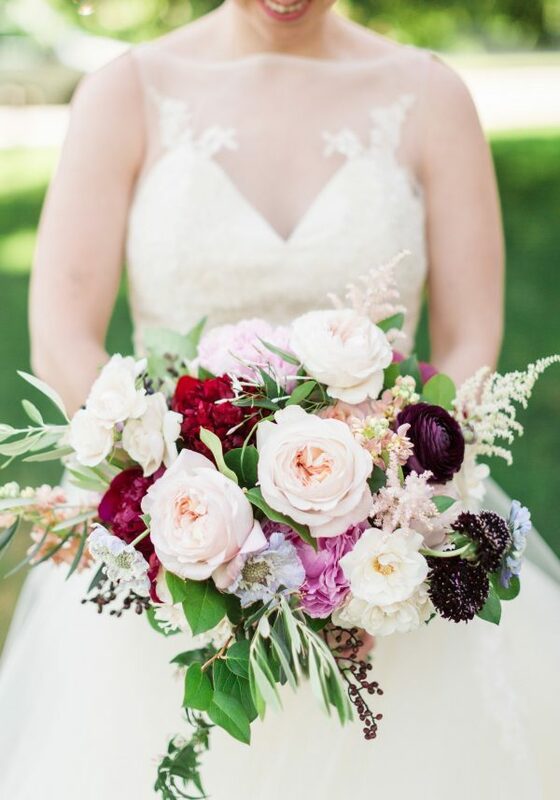 Their color palette is a bit limited, with hellebores available in white (seen here in one of our bouquets photographed by This is Feeling), green, burgundy, and a gorgeous muted, mauve-y color, and some have marvelous speckling within that palette. Hellebores are typically available from early winter into late spring. No matter what the season, beautiful blooms abound! 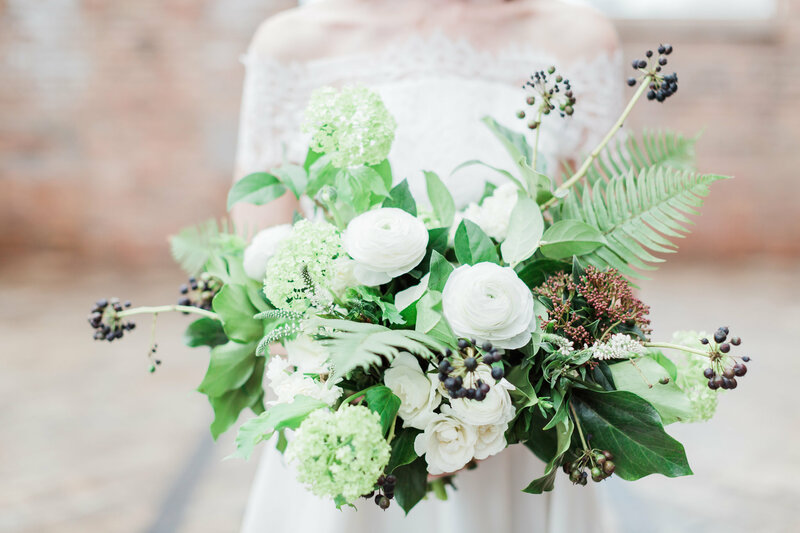 By working with your florist’s knowledge of seasonal availability, you’ll be sure to have gorgeous flowers that also reflect the timing of your wedding. 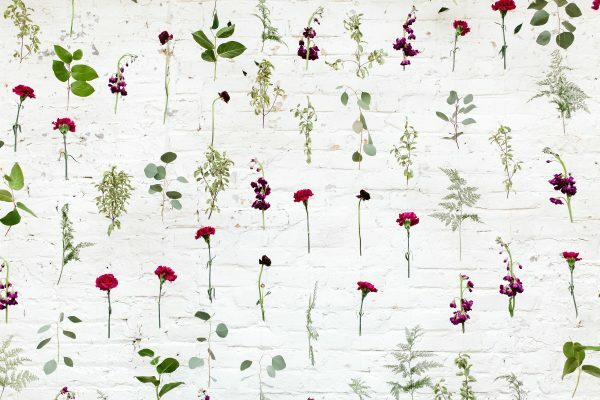 Lynn Fosbender is the owner and lead designer at Pollen, a Chicago-based wedding and event florist with a seasonal, garden-style approach.